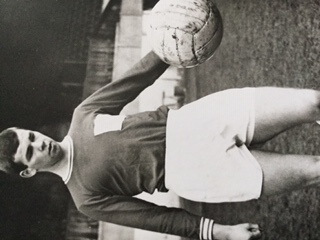 One of a number of Charlton Athletic players on the books at St James’ Park in the mid 1960s, Keeley had firstly been an apprentice at the Valley, until being ‘promoted’ as a full professional in December 1964. 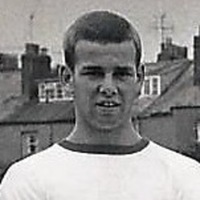 After just one league outing for Charlton, Keeley joined Exeter City in March 1966 for a fee of £1,000 on a busy transfer day at the Park, as his team mate Ray Elliott also moved to the Grecians, as did John Evans from Carlisle United. 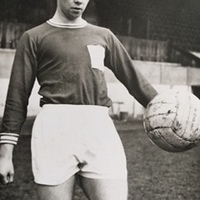 Keeley was unable to prevent City from being relegated to Division Four, but scored one goal (on his debut) in seven appearances, his first game for the club being against Mansfield Town. 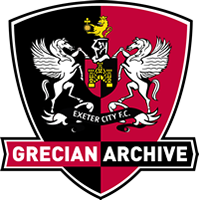 He was pretty much a permanent fixture in the City first team throughout 1966-67, and was the second top scorer with nine league goals in 39 games. Despite that though, Keeley was just one of several players given a free transfer and he signed for Southern League Crawley Town. 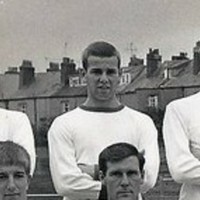 After just one season, Mansfield Town gave him another league chance by signing the winger in June 1968. Keeley made 52 league appearances for the Stags, scoring five goals during his two season stay at Field Mill. 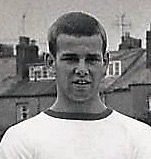 He moved back to the Southern League in the summer of 1970, when signing for Poole Town.